All countries indoctrinate their citizens, attempting to convince them toward patriotism and supporting the government. American indoctrination includes senior trips to national monuments and parks, a requirement to learn US history, and song. 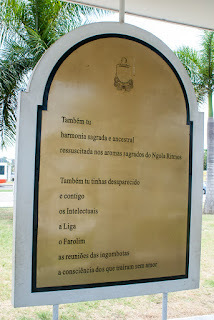 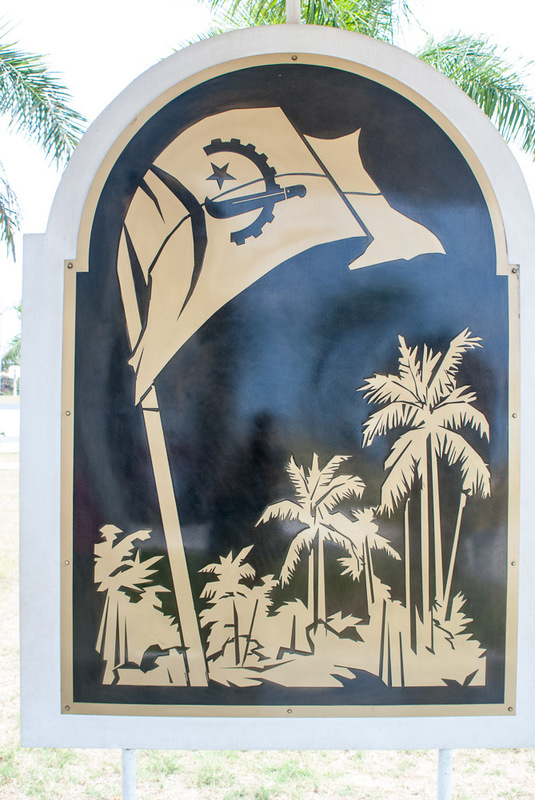 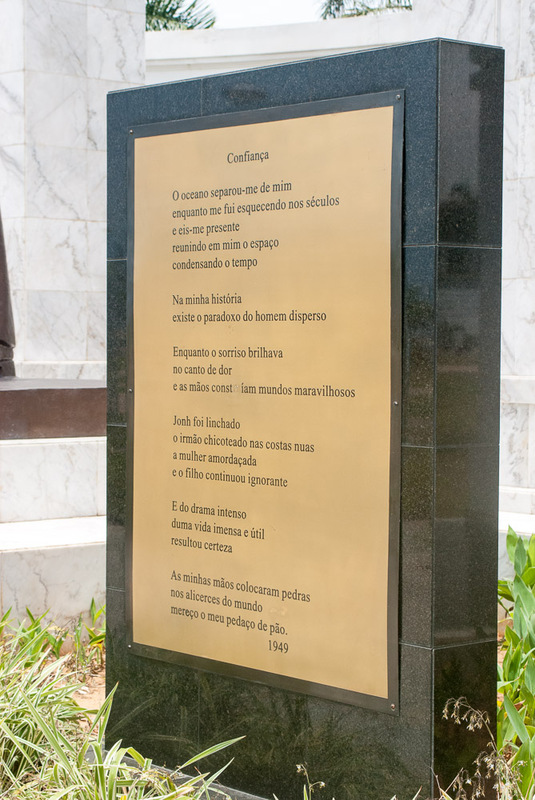 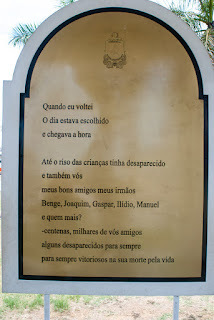 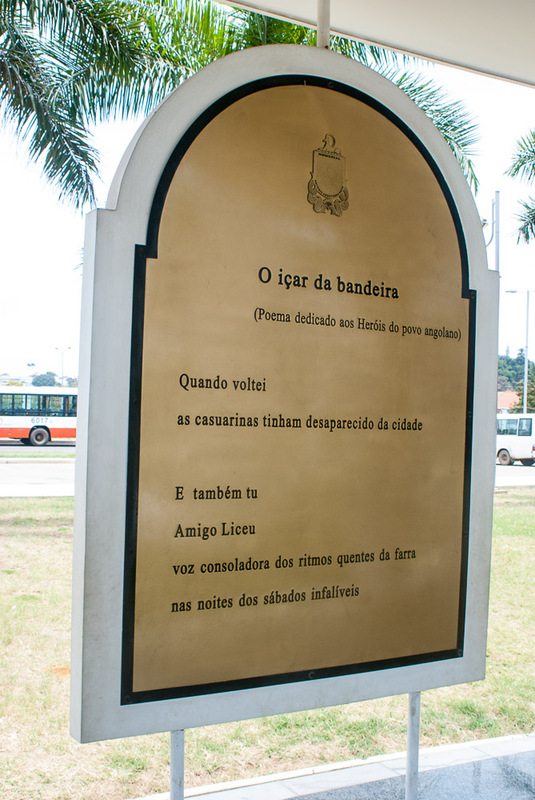 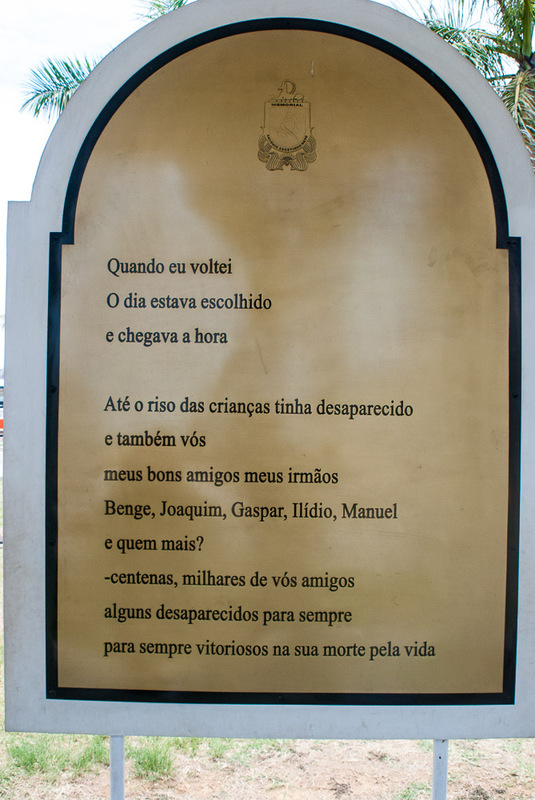 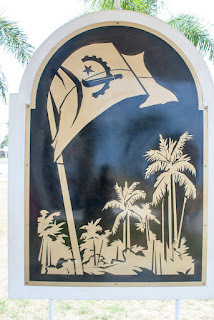 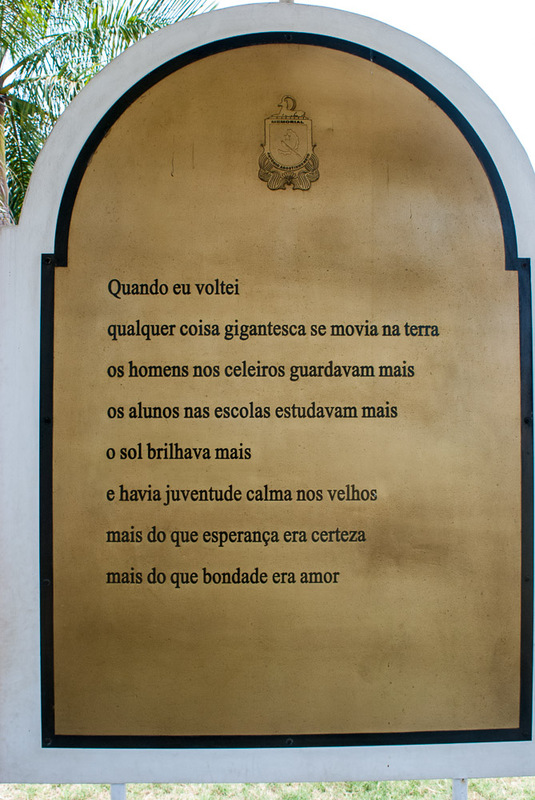 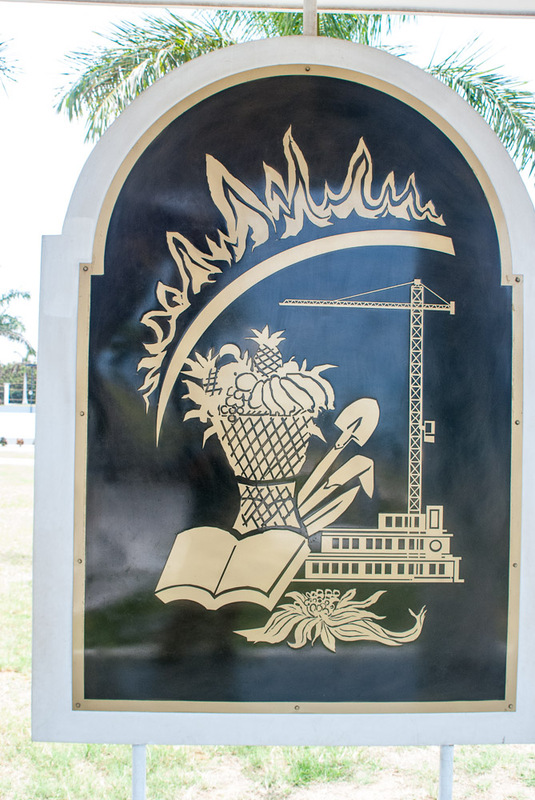 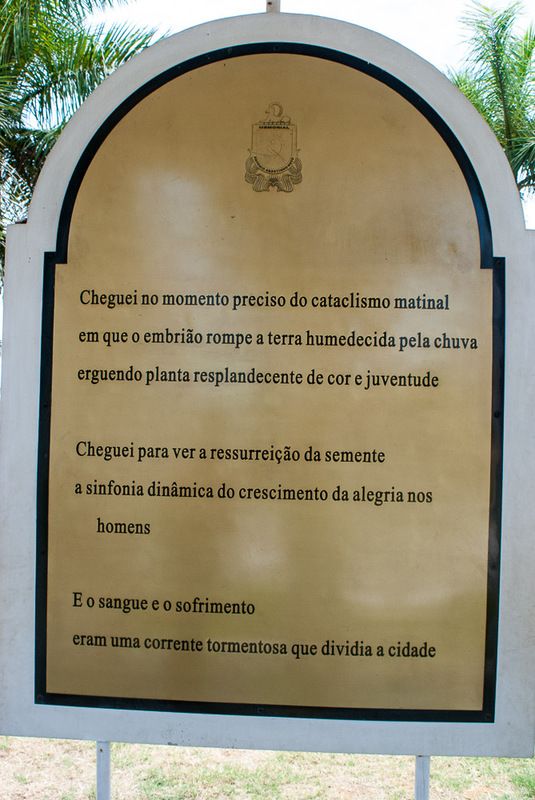 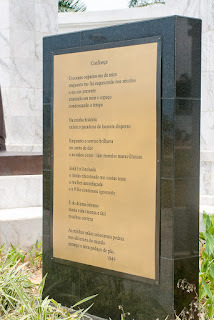 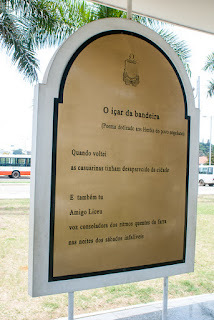 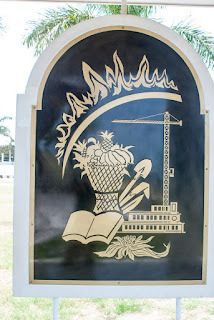 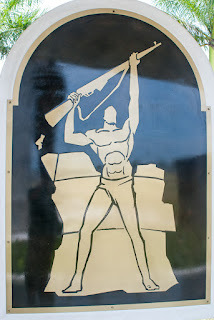 Angola also indoctrinates, and this monument is one of the ways it does so. 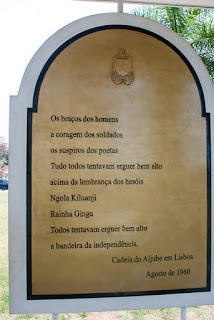 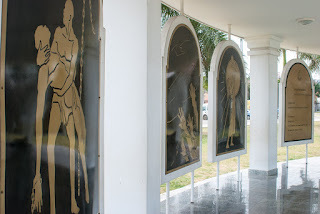 The pergola shows a very victimhood version of Angolan history - exploitation until they threw off colonial bonds with the help of Neto. 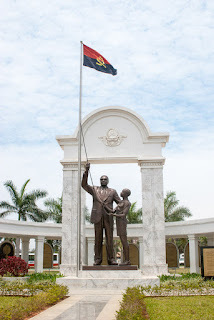 After that, the bounty of Angola has benefited the natives of Angola and not outsiders. 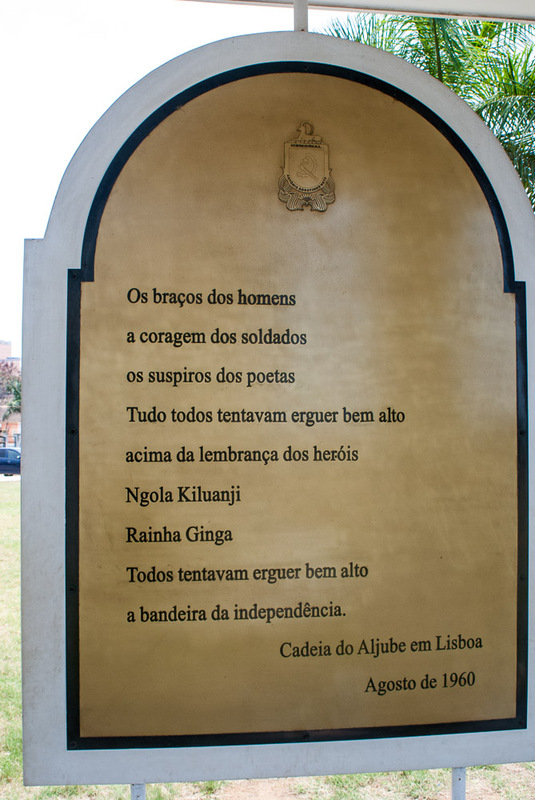 It's a pretty piece of jingoism.